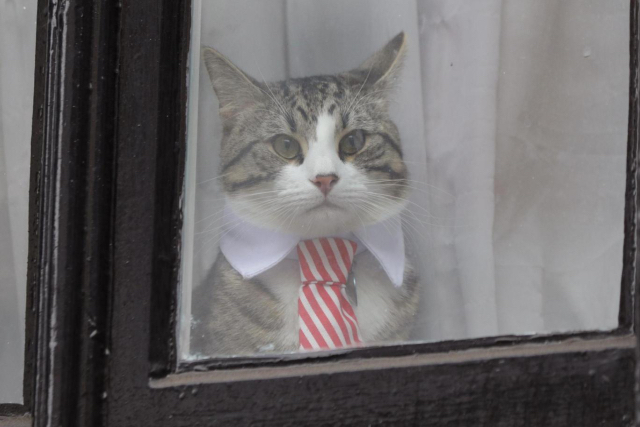 Julian Assange has been holed up in the Ecuadorian embassy in London since 2012, which would drive even a reasonable person a little crazy. During his time there, he hasn’t exactly endeared himself to the officials at the embassy. He also seems to think that he deserves special treatment, which is why he took the embassy to court to request that the new living requirements be loosened. 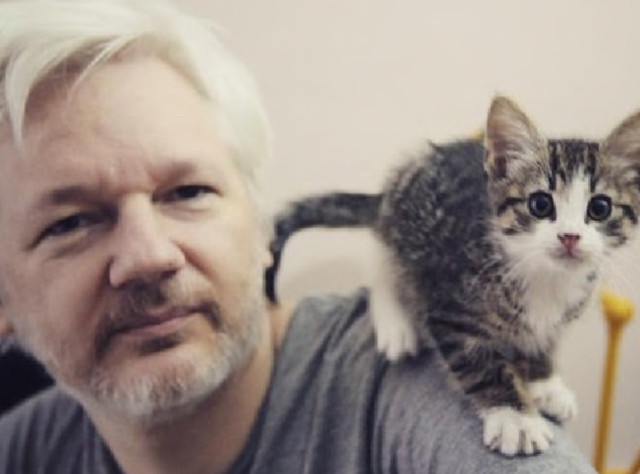 The new living requirements included Assange paying for his own internet and cleaning up after his cat. 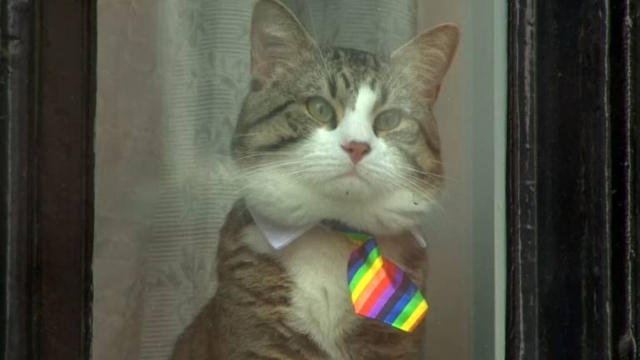 He would also have to pay his own medical bills and laundry services – restrictions that he claims have been imposed to push him into leaving the Ecuadorian embassy. Judge Karina Martinez decided stricter rules recently imposed by the South American nation’s embassy do not violate his asylum rights because authorities have the right to decide what is and is not allowed inside the building. 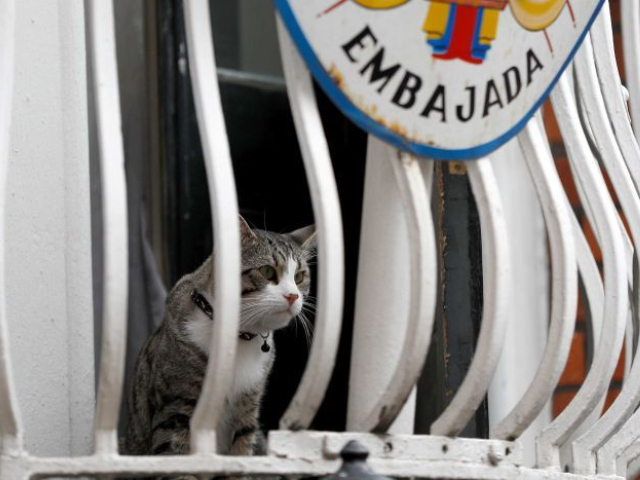 As the years have dragged on, with no end in sight, the relationship between Assange and Ecuador has worsened. Officials have complained that his soccer playing and skateboarding is damaging the building, which he occupies a third of. 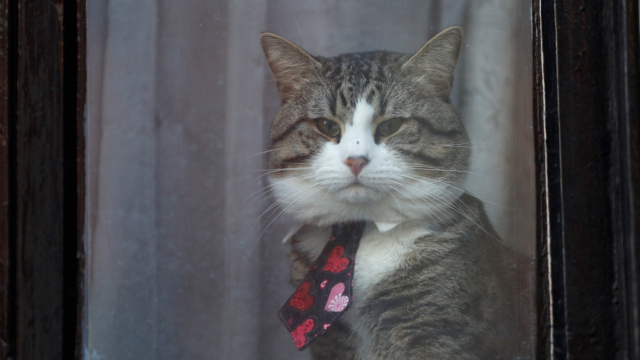 Perhaps the worst part is that if he doesn’t start doing his part and looking after his cat, the embassy intends to send the precious little creature to the pound. 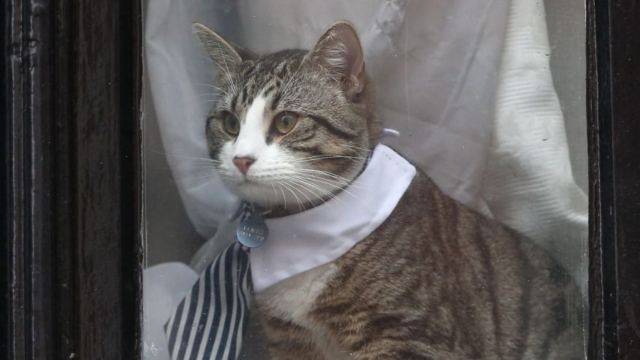 Look at that feline – it wears a tie, for heaven’s sake. It does not belong in a pound. Also…is it just me, or is Assange acting like a 13-year-old boy?